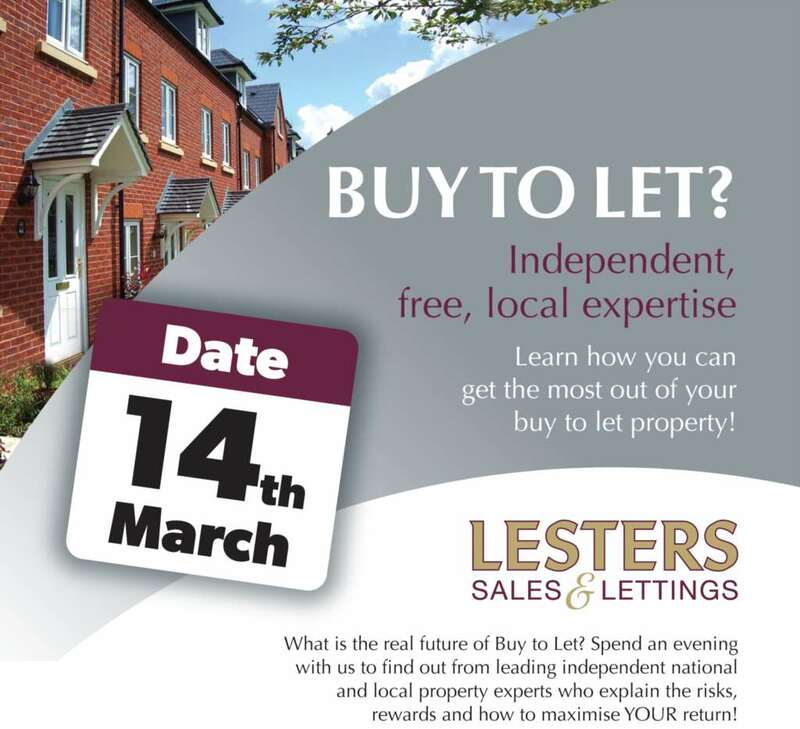 Lesters held their ‘Buy to Let’ evening at their Didcot office at 72 the Broadway on Thursday 14th March. The response was overwhelming and the evening was a great success. To hand were both Partners James Gesner and Julian Walley with Holly Weston the Property Manager and Lesters Independent Financial Adviser, Karen Marshall. After 6pm there was a steady stream of clients and new customers who wanted professional advice on a variety of subjects. This included advice on the best current mortgage deals and the ideal type of property to buy to rent out. We also welcomed some of our current landlords who were looking to seek additional properties for their portfolio with Lesters for further Investment. Undoubtedly after this success we will be holding another of these events before very long. Please remember the Partners Julian & James, Holly our Property Manager and Karen our IFA are always on to give free advice. You do not need to be buying or thinking of buying through Lesters our advice is free and with combined experience in the Industry of over 40 years we can show how our advice has worked for others. Please contact Didcot on 01235 519888 or Wallingford on 01491 824000 or drop us an email anytime.